If you can’t already tell, I am now rather enamoured with Cape Town having spent 4 whirlwind days seeking out and experiencing the highlights of this extraordinary city. So for anyone looking for some tried and tested recommendations, I’ve put together my Top 10 Things to do in Cape Town. Visiting Cape Town without going to the top of Table Mountain would be like going to Paris without going up the Eiffel Tower. Visitors have the option to either catch the cable-car up or hike up (two very different experiences I can assure you!). If you want more of a leisurely experience or will be tight for time like I was, the cable car is a charming experience. 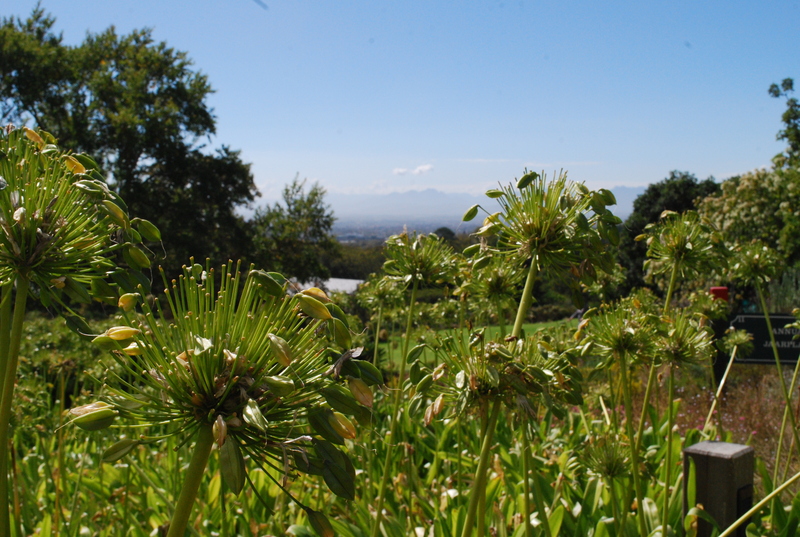 There are about 5 different table mountain hiking trails which range from 45 minutes to 4 hours depending on route and fitness level (click the link for some really handy info on the trails). 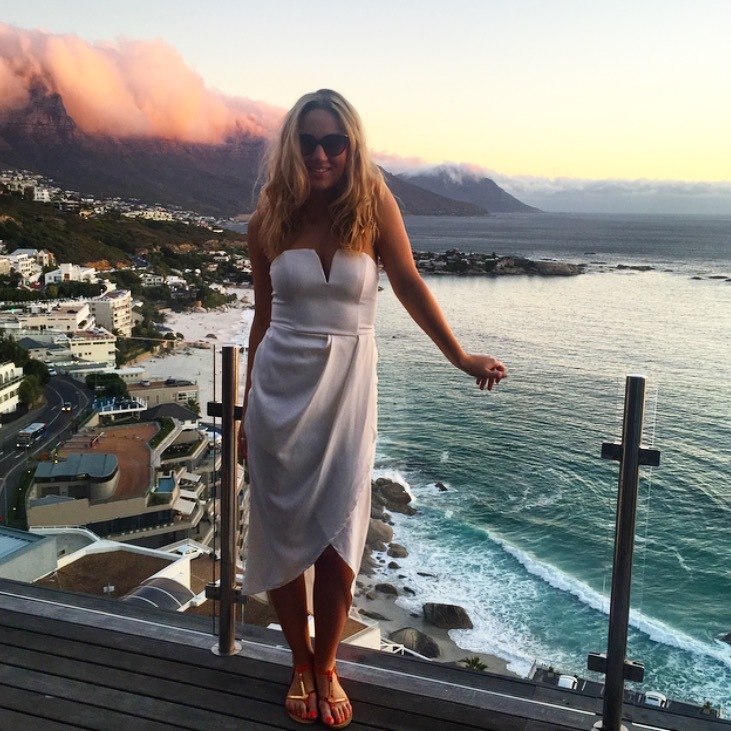 Once at the top, paved walkways lead the way to breathtaking 360 degree views of Cape Town. I’d recommend allowing about an hour or so to get stroll the whole way around and find a sunny spot to stop, sit, and take it all in. 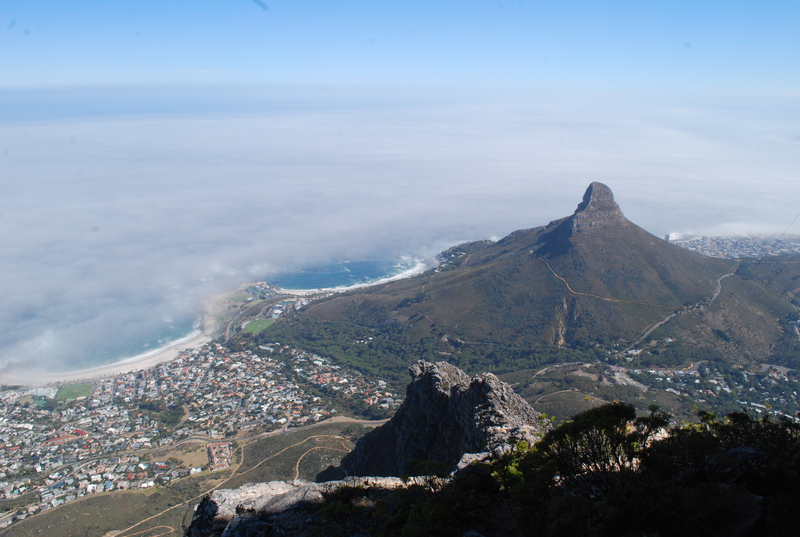 Table Mountain is firmly fixed on the tourist trail of Cape Town, but if that bothers you then swallow your alternative-traveller pride because missing out on this would be a tragedy. Travelista Tip: If you’re going up by cable car be sure to nab a spot right by the window. 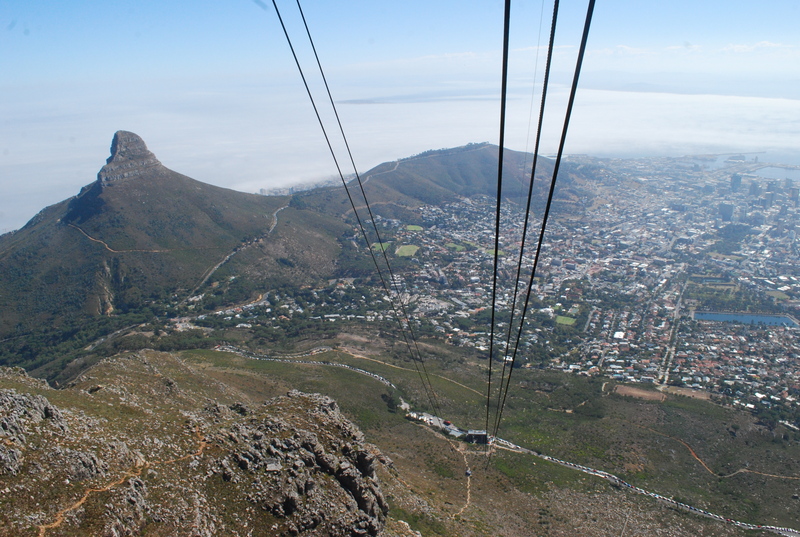 The floor of the cable car rotates so you can see Cape Town from all angles as you make your ascent / descent. 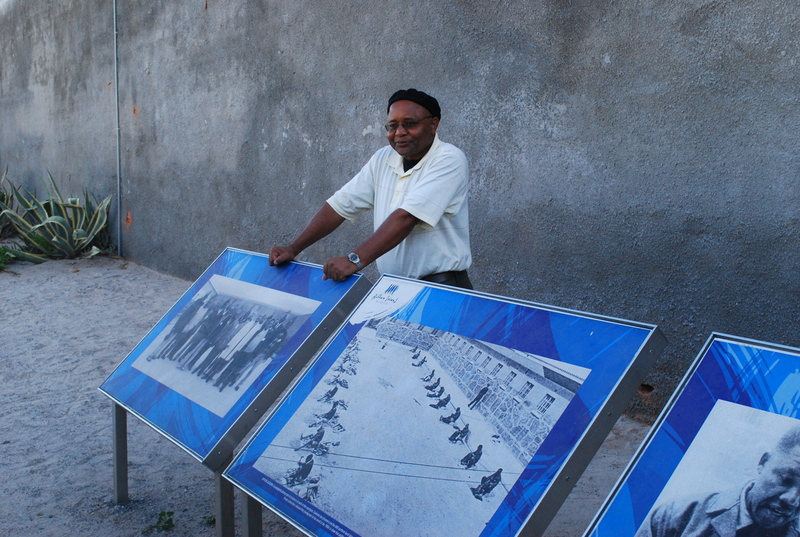 Best known for being home to the Prison where Nelson Mandela spent 19 years of his imprisonment, Robben Island is now a museum that brings the struggles of the apartheid’s political prisoners to life. 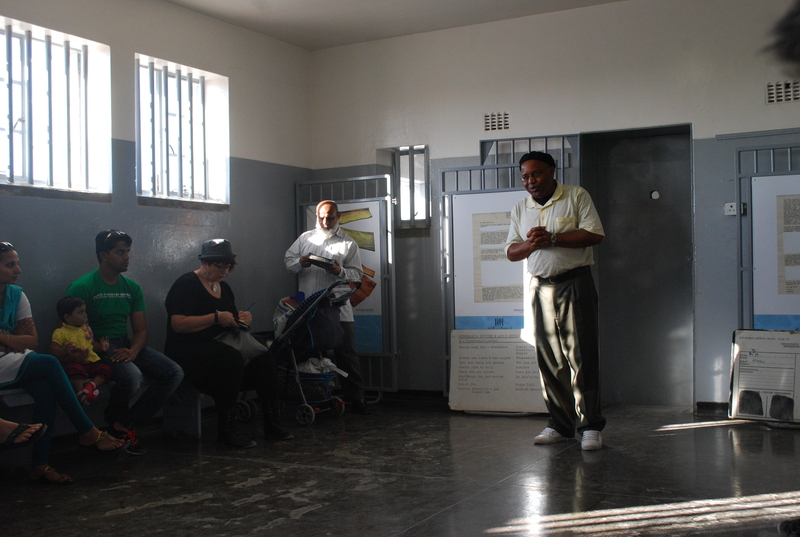 Guided prison tours are conducted by ex inmates, which is included in the ticket price. 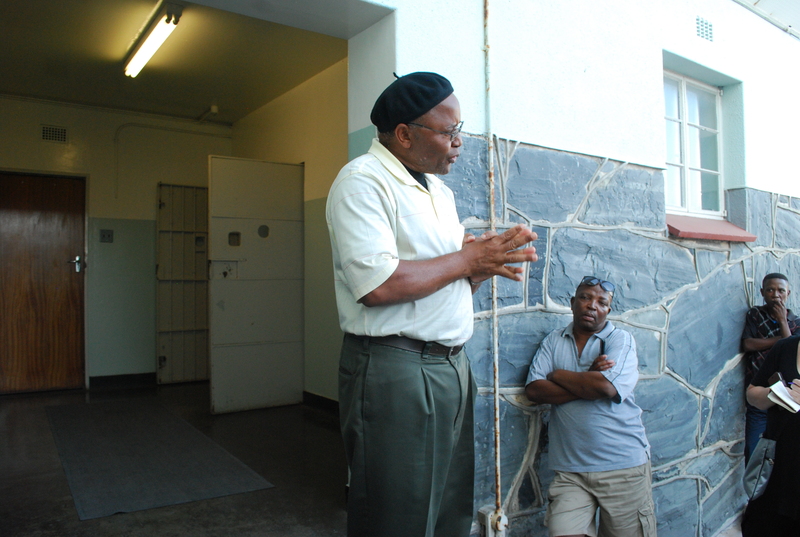 Our guide was taken by ex inmate Ntando, who told us about his harrowing experience of 7 years in prison on Robben Island during the same time as Nelson Mandela. The tour was fascinating and we even got to see the cell that Nelson Mandela spent 11 years of his sentence. Mind bending stuff. 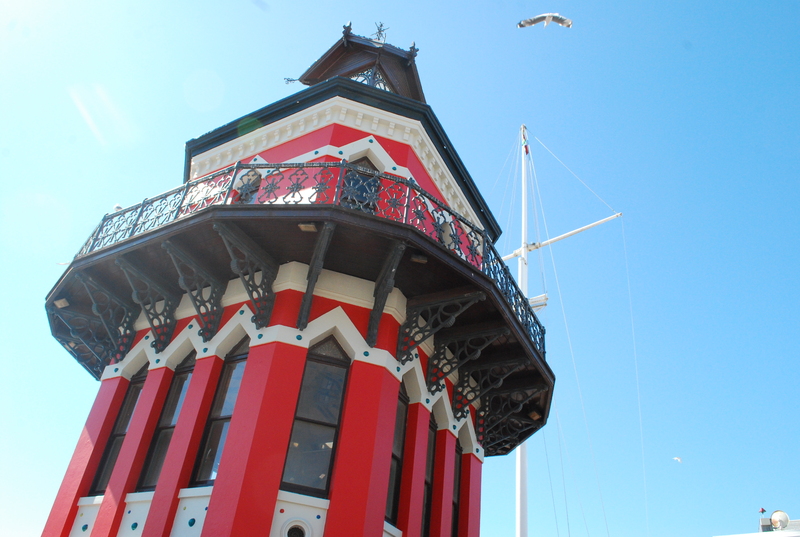 In my opinion, this is one of the most fascinating things to do in Cape Town. Travelista Tip: Arrive early for your designated ferry time to snap up a seat on the top deck of the ferry. 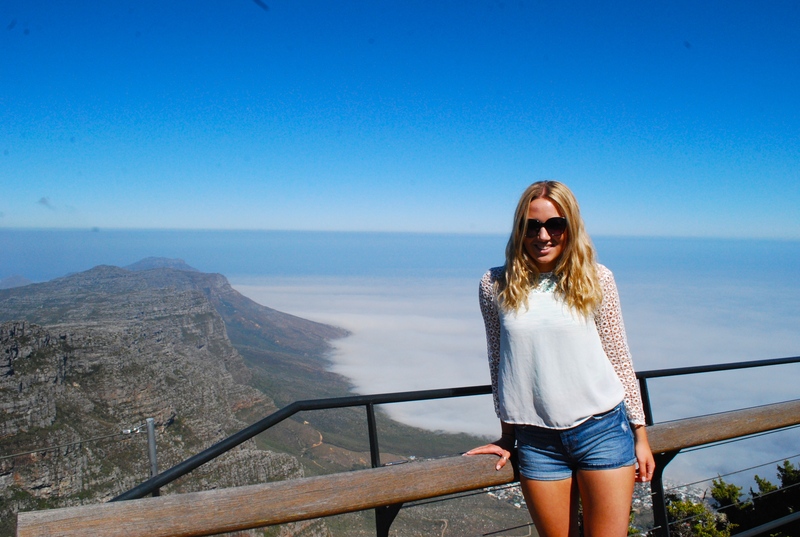 The views of Table Mountain are spectacular! Tickets to Robben Island include a return ferry crossing from Cape Town’s Waterfront, a bus tour of the island and a tour of the maximum security prison for 280 Rand. 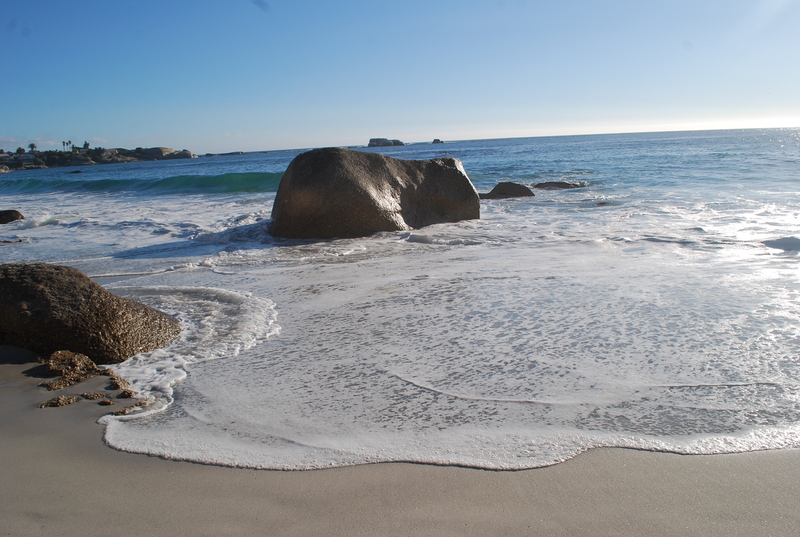 A visit to Boulders Bay is an utterly charming experience whether you’re 7 or 70. 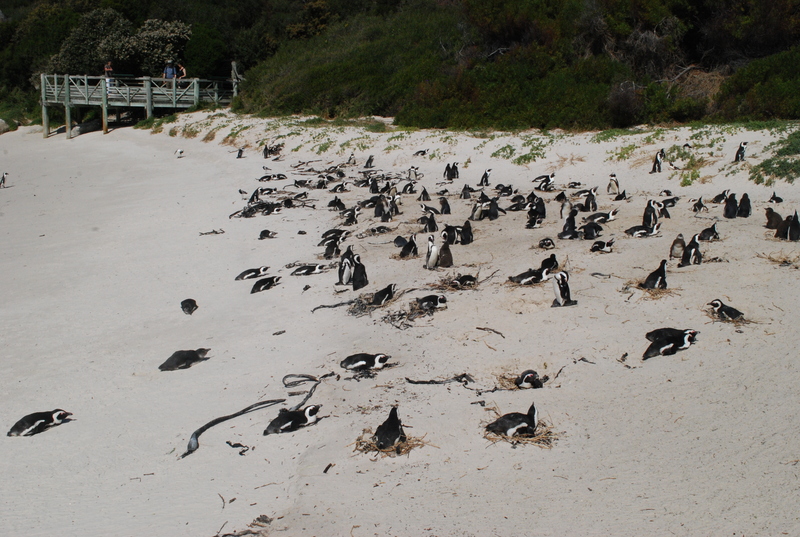 Home to Cape Town’s largest penguin colony, Boulders Bay is scattered with hundreds of Penguins that supposedly stemmed from two penguins ‘left behind’ during migration season. The natural boulders that surround the beach and the jade green waters further add to the beauty of this special little spot. A raised boardwalk stretches down to the bay, but to protect the penguins you can’t actually walk along the beach itself. Fear not though, many penguins come up close to the boardwalk so you can still get up close and personal with these enigmatic creatures! 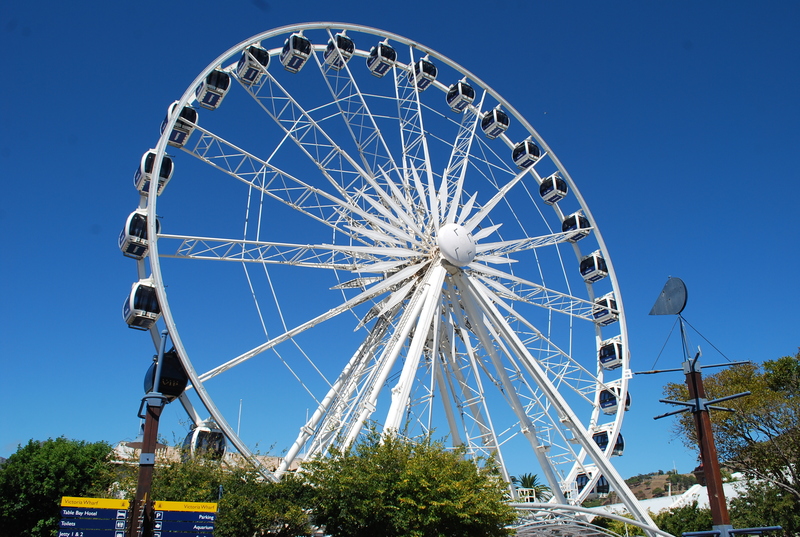 This is one of the most family-friendly things to do in Cape Town. Travelista Tip: The best time to visit Boulders Bay is early in the morning before the crowds and school kids arrive and ruin your fabulous photo opportunities. 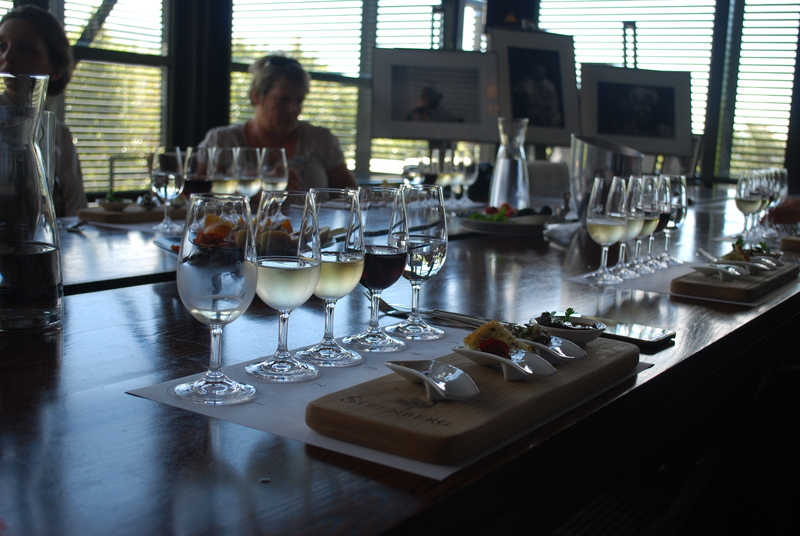 What could be more glorious than to spend an afternoon of your trip doing some wine tasting on a working Capetonian vineyard? Between Stellenbosch and Constantia there are so many vineyards to choose from, so let me make it easy for you, go to Steenberg! 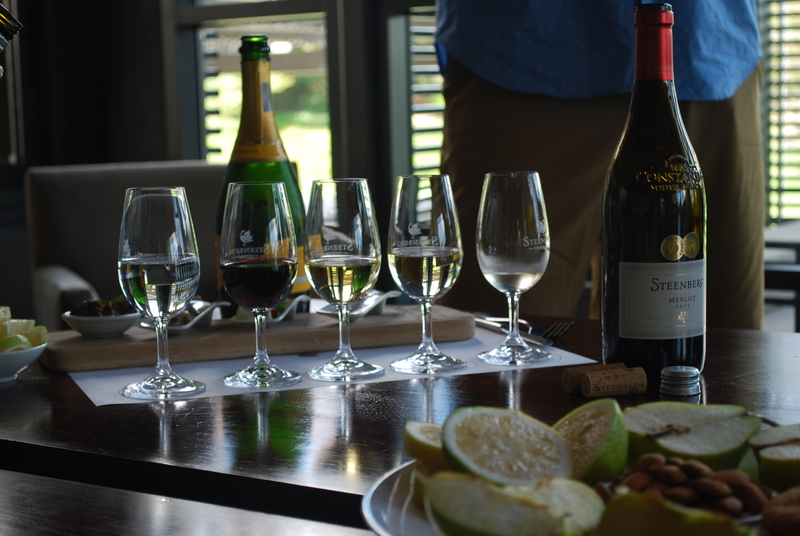 We enjoyed a pre-lunch wine tasting with Director of Steenberg Estates John Loubser, who took us through a tasting of 4 of Steenberg’s top wines along with a pairing of tasty canapés. John explained all about the wine-making process and the region of Constantia. I was hungry to learn more about the wines and furiously scribbled down notes about the wines I was tasting. 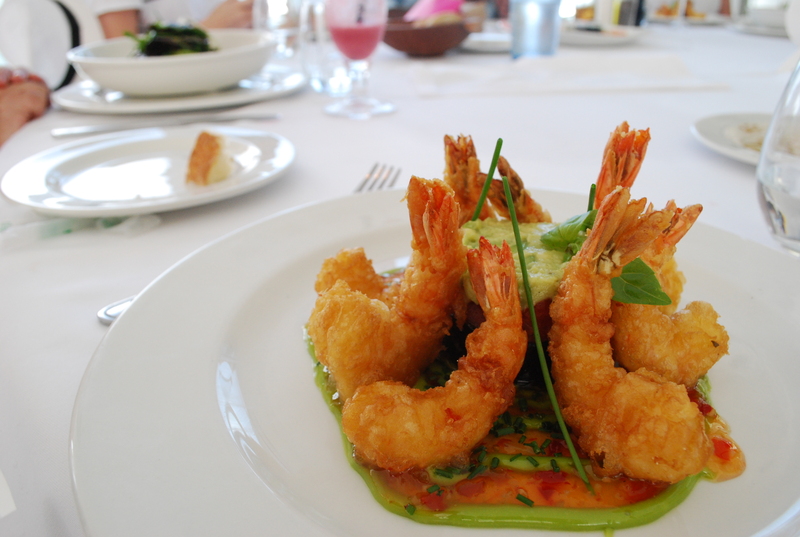 Tried and Tested Recommendation Combine your wine tasting with a delicious lunch in the sun at Steenberg’s Bistro 1682. 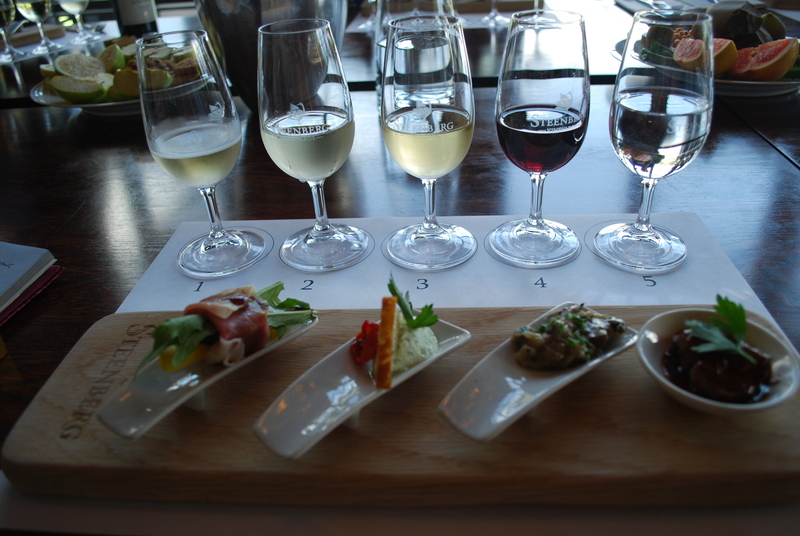 The food is superb and it’s a great excuse to sample more of Steenberg’s wines over a long and lazy lunch. The specials are always top notch. 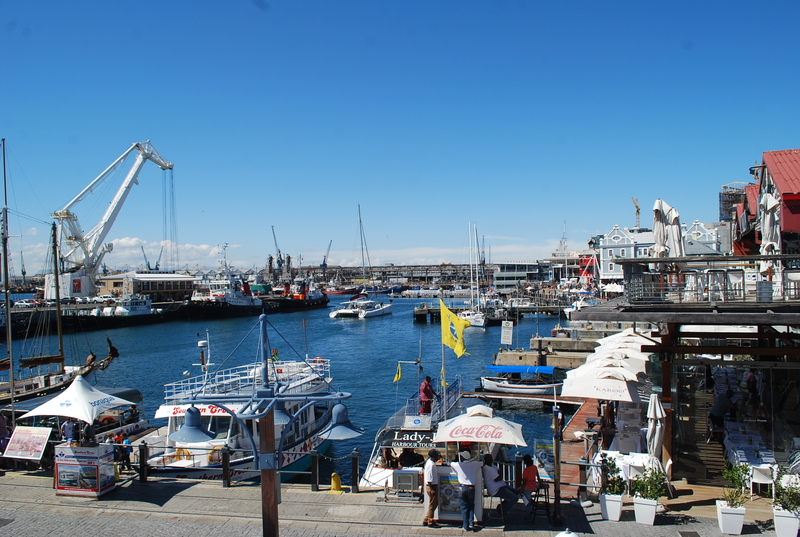 With chic al-fresco cafes, live music and lively street entertainers, The Waterfront is a one of Cape Town’s most buzziest areas. 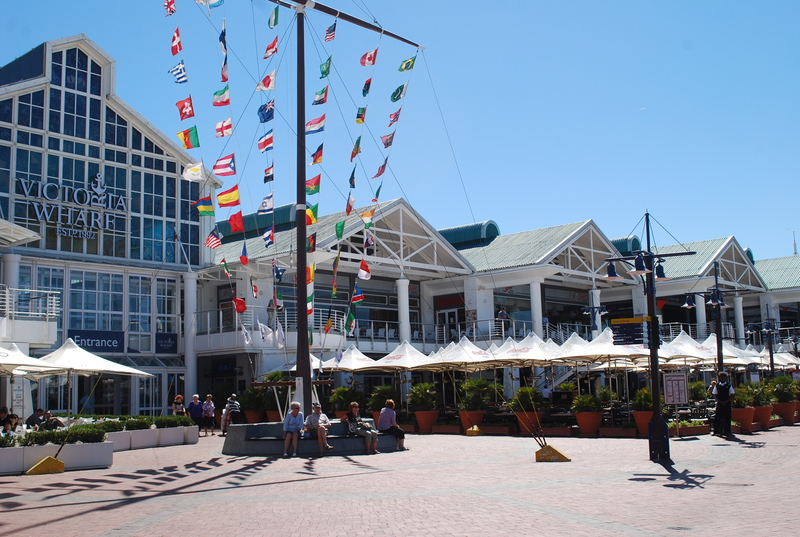 Boutique shops sell local African art and souvenirs and the Victoria Wharf shopping centre has lots of the big brands. Umbrella stalls line the marina where you can book your fishing tours, whale watching and for those who dare, shark diving excursions. 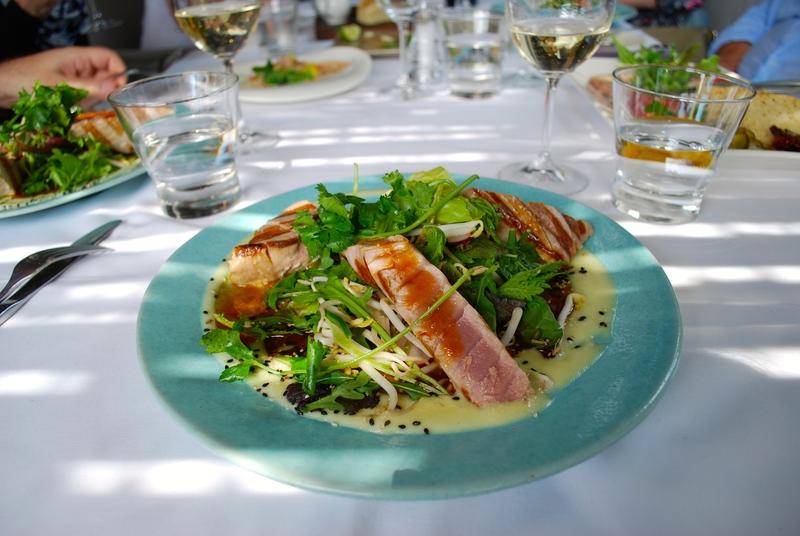 Tried and Tested Recommendation: For a trendy lunch spot serving delicious seafood in chic surroundings, head to Mondiall. For a casual picnic bench lunch directly on the waterfront, Quay Four Restaurant is great value and an excellent choice. 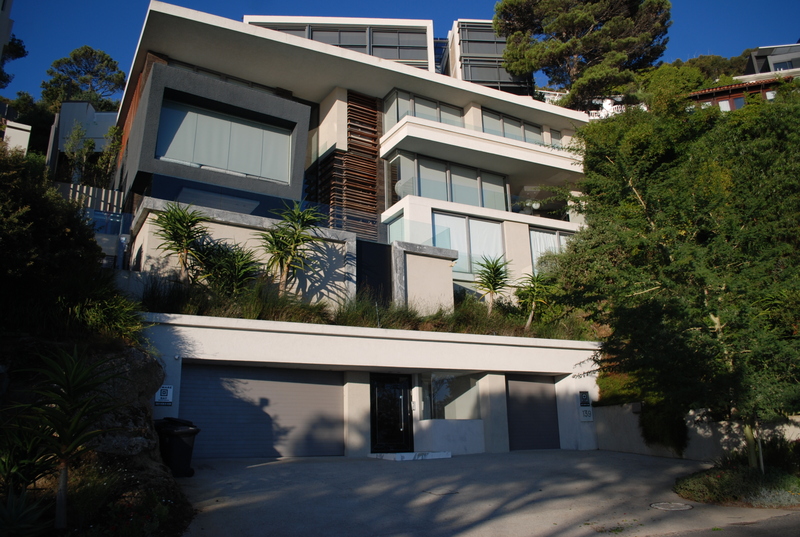 Camps Bay and Clifton sit right next to each other and are two of the most affluent areas to live in Cape Town. With new-build dream beach houses making up prime real estate, the area even has it’s very own Millionaire’s Row. 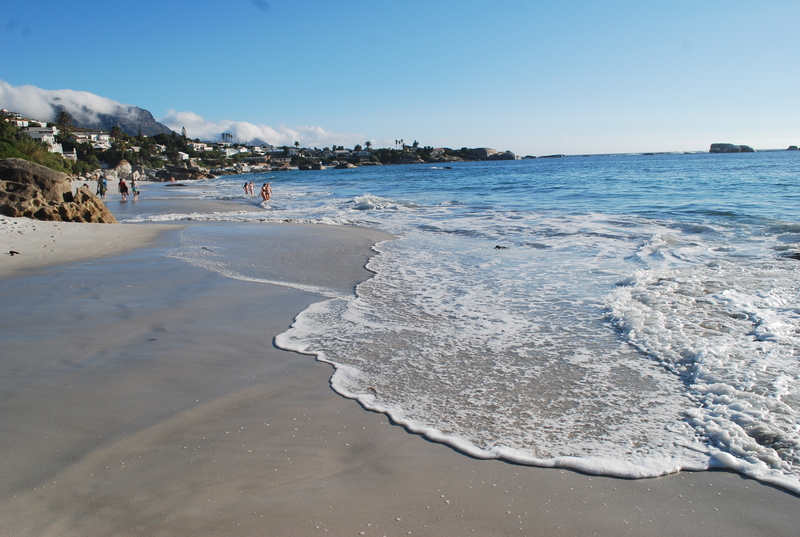 Camps Bay Beach is one of Cape Town’s most famous beaches and has been a Blue Flag Beach since 2008. 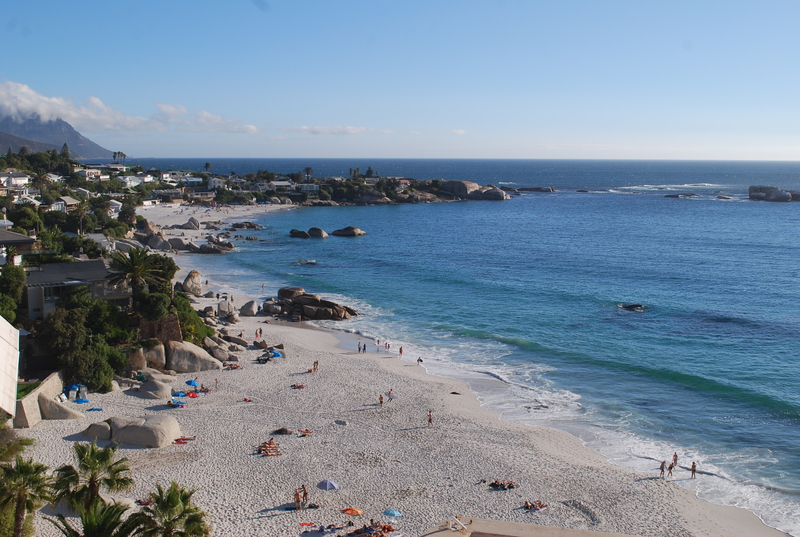 Clifton has 4 separate beaches known, quite simply, as Clifton 1, 2, 3 and 4. All 4 of the beaches are incredibly scenic and a perfect place to relax for the day, but if you’re not into nudist beaches I would give Clifton 4 a miss (depends what you’re in to!) Spend the day hopping from beach to beach and watching surfers take on the waves but beware, the sea is freezing as it’s on the Atlantic side of Cape Town so you may need a wetsuit if you want to join them! Tried and Tested Recommendation: The street adjacent to Camps Bay beach is lined with al fresco restaurants and bars but for some amazing cocktails walk a little further to The Bungalow for a chic bar and restaurant right in-between Camps Bay and Clifton. 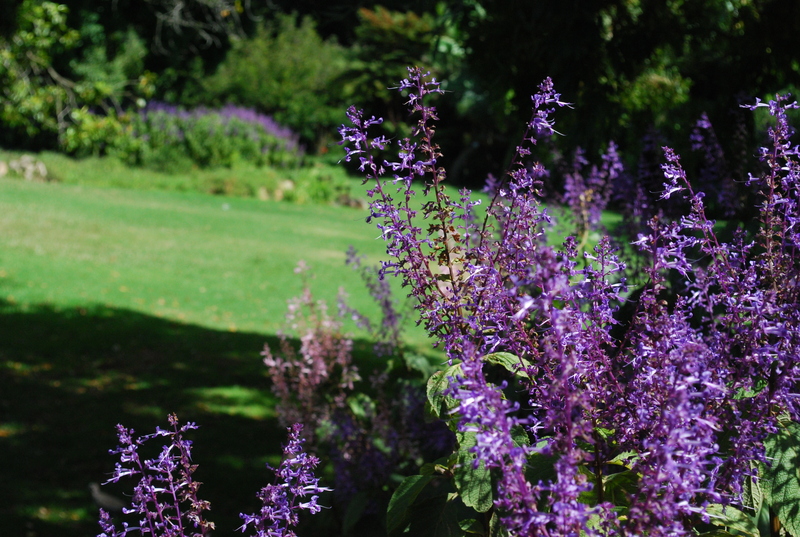 Another must-see is Cape Town’s Kirstenbosch Botanical Gardens which is also a UNESCO World Heritage Site. 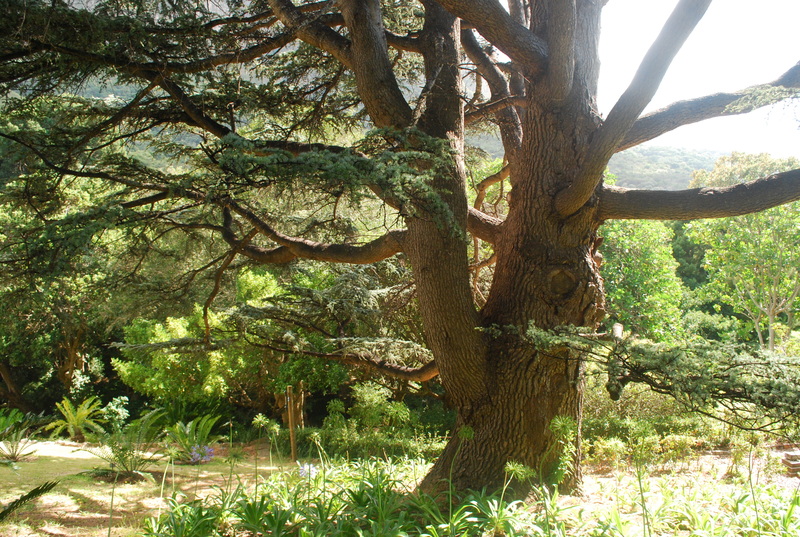 I visited Kirstenbosch on my last day of the trip after a full on few days and wandering around the tranquil gardens was the perfect way to unwind. Pick up a map and follow the winding paths or just get lost on the trails. With a little café and gift shop, you could definitely spend a relaxed morning or afternoon here. 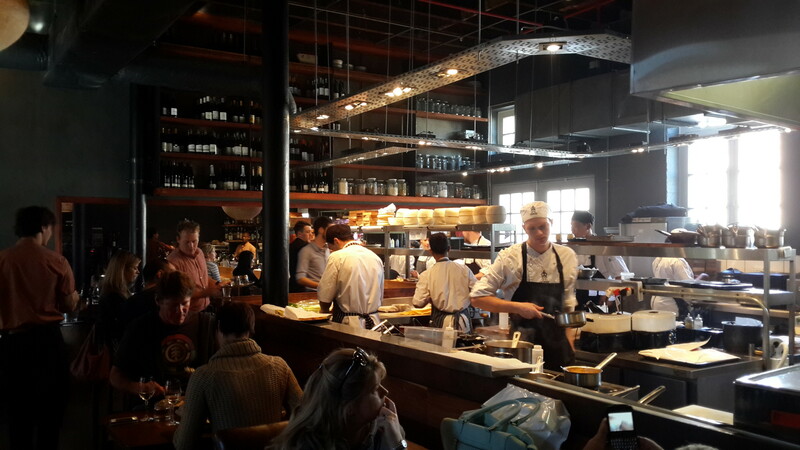 A booking at The Test Kitchen is the hottest ticket in town right now in Cape Town, and it’s no wonder. The restaurant was voted ‘Best Restaurant in Africa’ and took 48th place in the World’s 50 Best Restaurant Awards in 2014. On average it takes 6 months to get a table at this foodie hot spot, which offers incredibly creative fine dining in a relaxed and informal setting. At first I was surprised at the casual fine dining concept, but it was really refreshing to enjoy intricate dishes without the white tablecloths and silver spoon service. The staff were casual and friendly but extremely knowledgeable about the menu. We opted to go for the Discovery Menu which was a 5 course tasting menu with wine pairing. Each course had a choice of 2 dishes. My favourite dish was the “Kingklip” fish which is local to South Africa. The taste was sublime and the dish was beautifully presented. We were lucky enough to be greeted by owner of The Test Kitchen and Celebrity Chef, Luke Dale-Roberts, who has become South Africa’s most celebrated chef. Top Tip: The Discover Menu is an absolute steal at 580 Rand with matching wines (the equivalent of £55 GPB). For a menu of this standard in London you’d be looking at well over £120. For some relaxed beachfront retail therapy, Kalk Bay is a must. This quaint little coastal town has a waterfront road lined with independent shops selling art, jewellery, clothing, art and design pieces. It’s the perfect place to pick up something authentic from Cape Town without the rip off tourist prices. 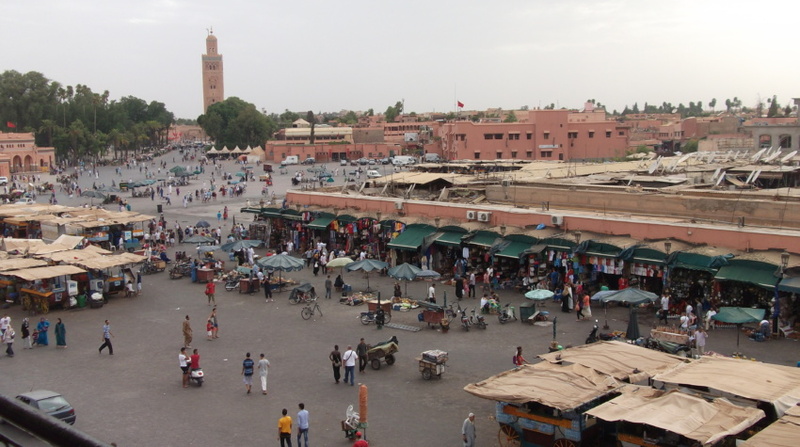 It’s completely hassle free and shop vendors are happy for you to roam in and out of the shops without giving you the hard sell. 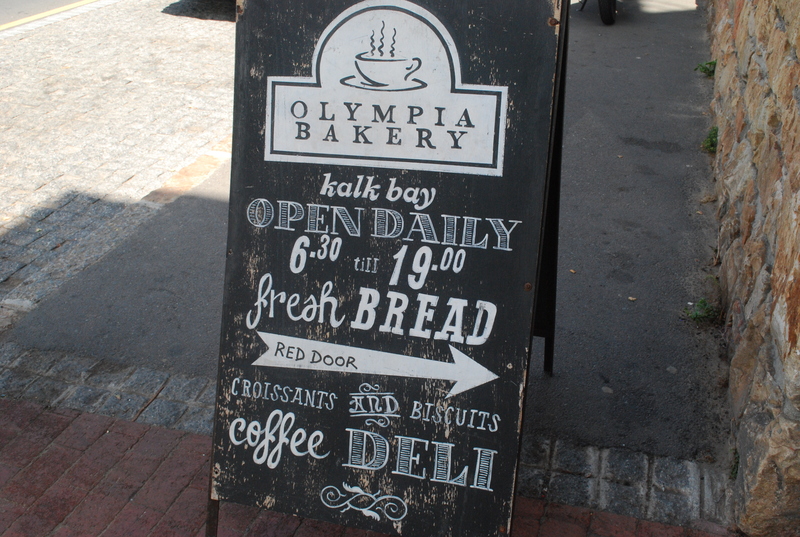 The Kalk Bay Co-op is a fantastic collection of shops selling products and clothing made by local designers. I picked up a really cool skirt and pair of shorts there. It’s well worth a visit. 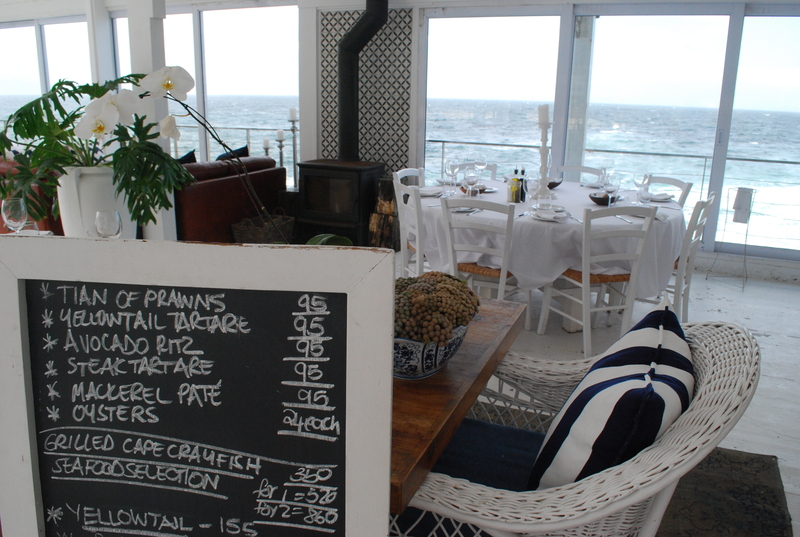 Tried and Tested Recommendation: Combine your shopping trip with lunch at Harbour House Restaurant, located in Kalk Bay through the fishing port. 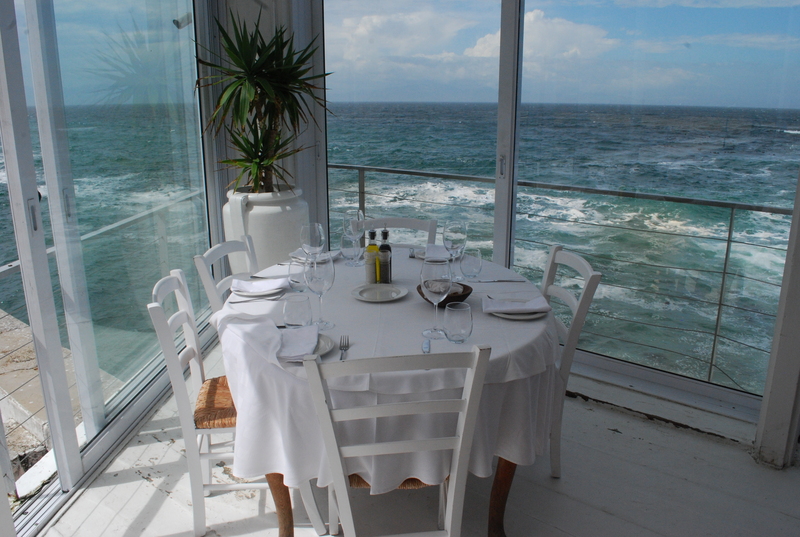 With white washed interiors and a spectacular waterfront setting, you can watch the waves crash in whilst enjoying the freshest seafood. 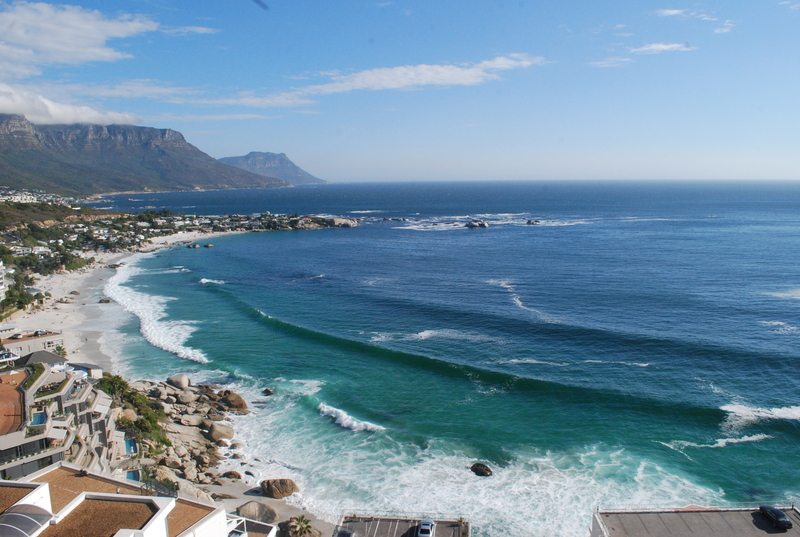 Muizenberg Beach is one of Cape Town’s longest beaches stretching a staggering 20 km along the coastline. With a strong Atlantic wind, Muizenberg is a mecca for Cape Town’s surfing community and the waves further add to the bracing beach experience here. 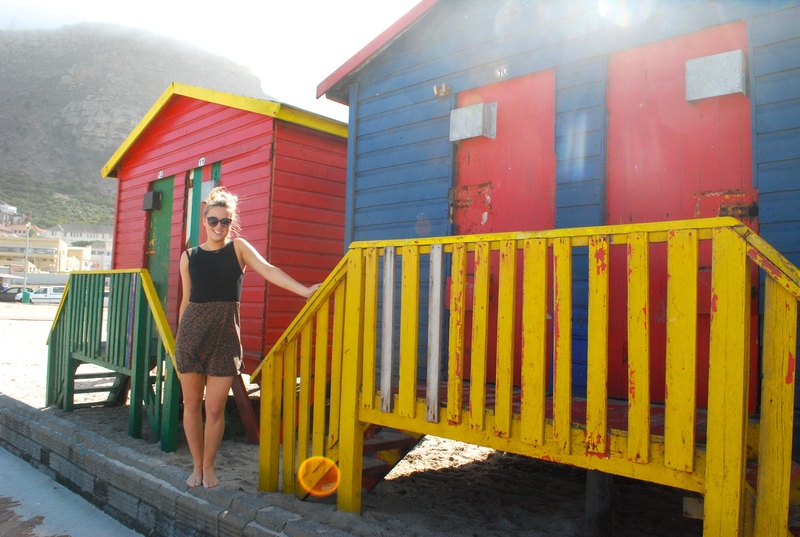 Primary coloured beach huts line the sands which can be hired for the day. 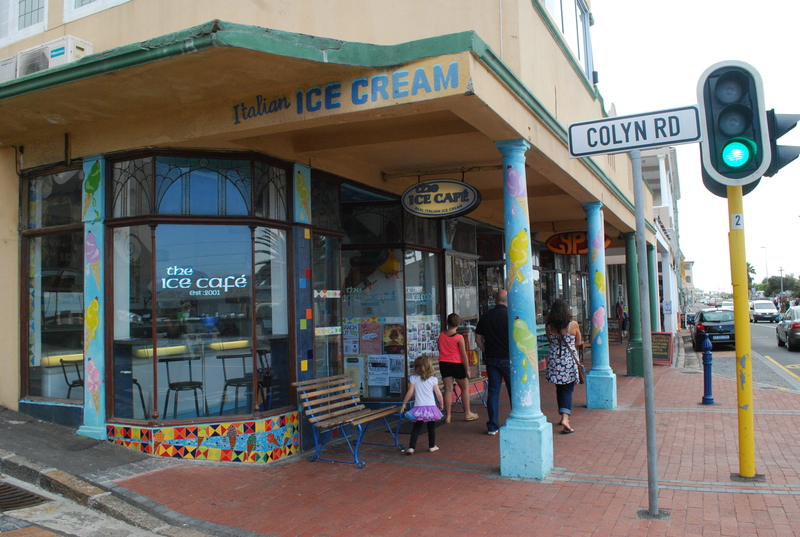 In the summer months Muizenberg is a hive of activity and is lined with ice cream trucks, sun-worshipers and surfers. The area is also kid-friendly with some lovely beach-front play areas. 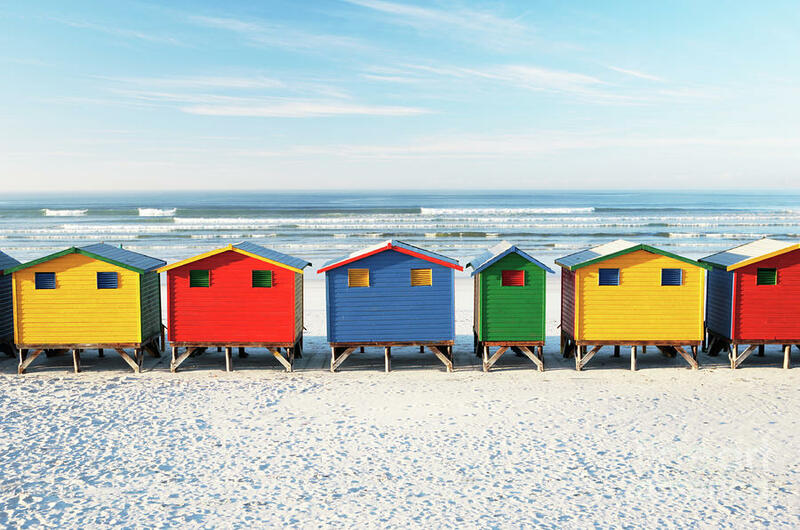 Travelista Tip: Muizenberg Beach is a short 5-10 minute drive from Kalk Bay, so if you like the sound of both make sure you do both at the same time. I flew with Qatar Airways, which flies daily from London Heathrow to Cape Town via Doha. Roundtrip prices start from £747 economy and £3122 Business Class. Book via 0333 320 2454 or visit www.qatarairways.com. Disclaimer: Some activities, restaurants and attractions mentioned in this post were provided complimentary as part of a press trip but all views are my own. 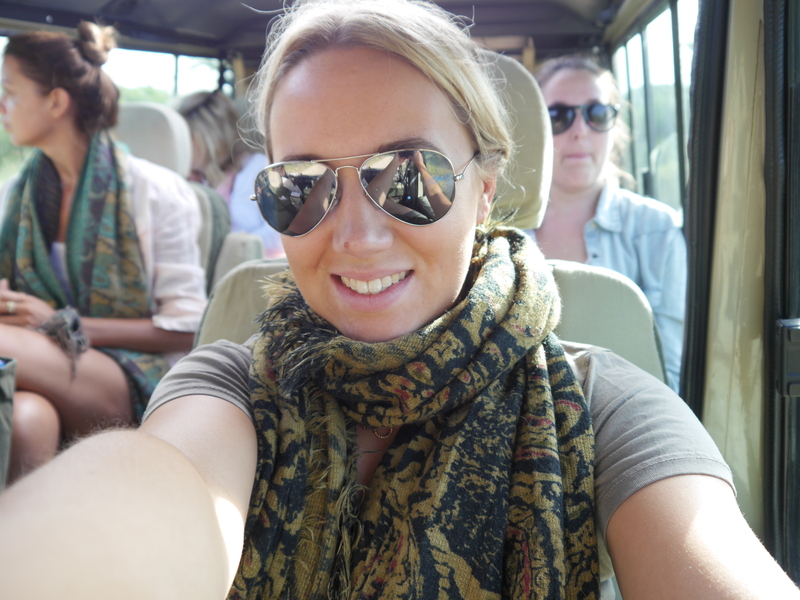 « The Travelista Blog Celebrates its 2nd Birthday! HI!! My husband and I will be in Capetown for 4 days and I love the recommendations that you provided. If you would be so kind as to tell me how you traveled to all of these places? Did you rent a car or use a taxi? Thanks! Reblogged this on Adriana Kuprešak | Made in Croatia. Raised in Sydney. Currently Globetrotting.. 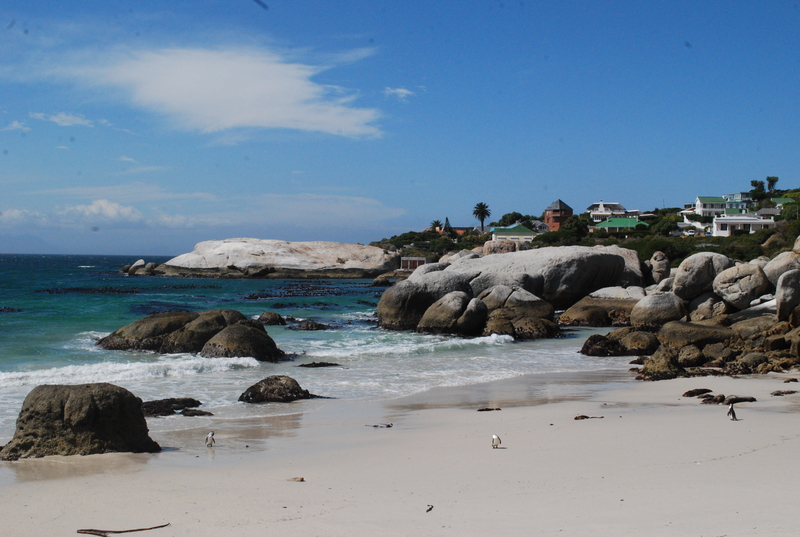 I am another Ambassador for Cape Town and SA as a whole, wonderful places, amazing people, stunning beaches, love it! Looks truly amazing. Your fantastic photos really bring it to life! How did you fit it all in? Great photos as always. Made me hungry too! 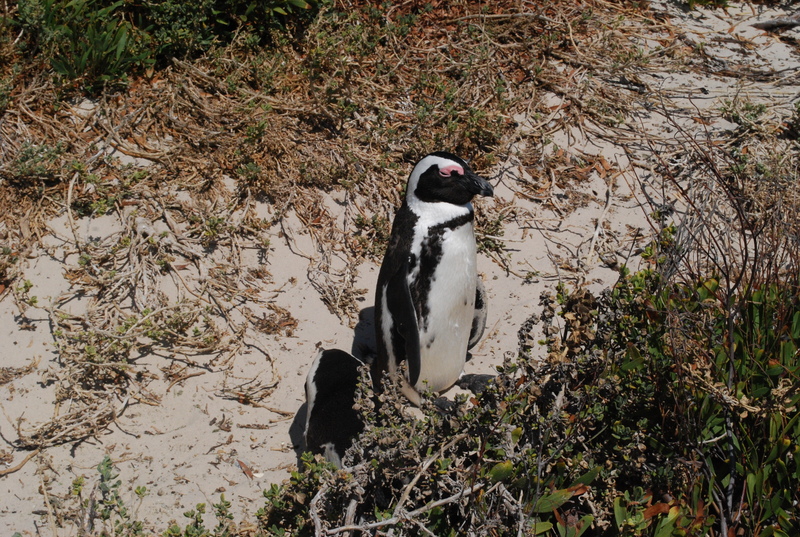 Wow, these photos are stunning!Plus it is a grat post as well full of interesting informations about Cape Town.I would definitely love to see those penguins and the view from the Table mountain.